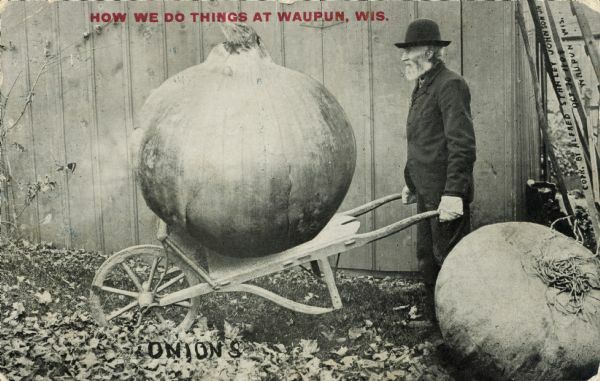 An elderly, bearded man hauls a giant onion using a dolly. The man is wearing a black hat and white work gloves. The background shows the side of a barn. Red text in the upper portion bears the inscription, "How we do things at Waupun, Wis."